Available for stays throughout April, May, June 2019. 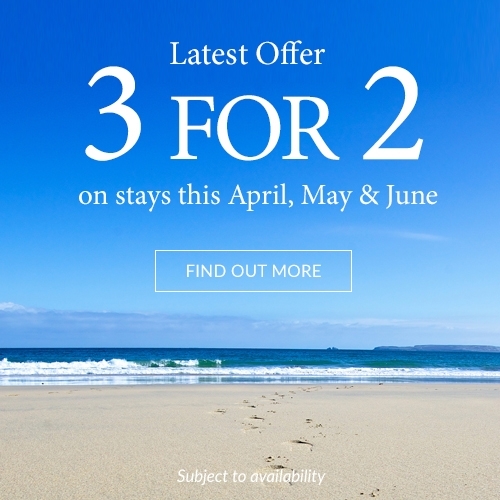 Stay for three nights and only pay for two with our spring offer on all our properties across the Estate. With a huge choice of accommodation including Beach Lodges, Beach Houses, Beach Suites, Main House Boutique Bedrooms and in the wooded valley you will find our Cottages and Apartments. If you prefer a more rural retreat then Lannear Farm may suit. Our most desirable properties, with a roof terrace, hot tub and direct beach access. Nestled in Carbis Valley, these charming cottages are ideal for families and groups.